 Da redação | Policiais militares de Canoas prenderam na madrugada desta quarta-feira (16) três pessoas durante ações de patrulhamento em dois bairros da cidade. 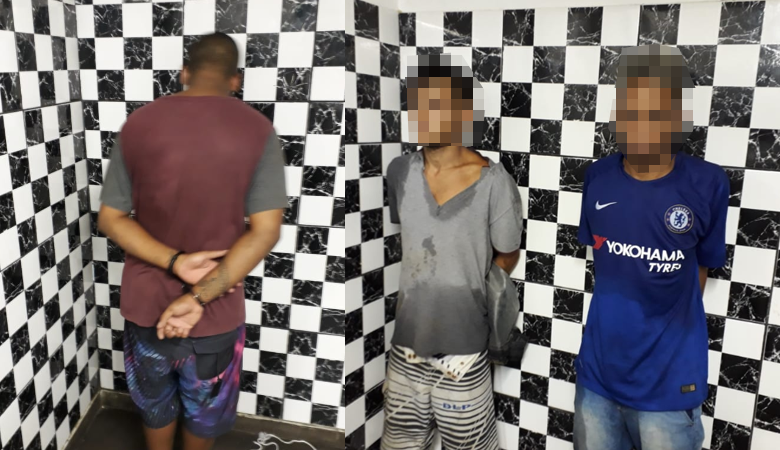 Conforme o 15º BPM, por volta de 00h20, na rua Braulino Pansera, bairro Fátima, um jovem de 18 anos foi detido com 32 porções de maconha, celular e dinheiro. Mais tarde, por volta de 00h50, os PMs estavam na rua Paes Lemes, no Rio Branco, quando avistaram dois homens, de 20 e 24 anos. 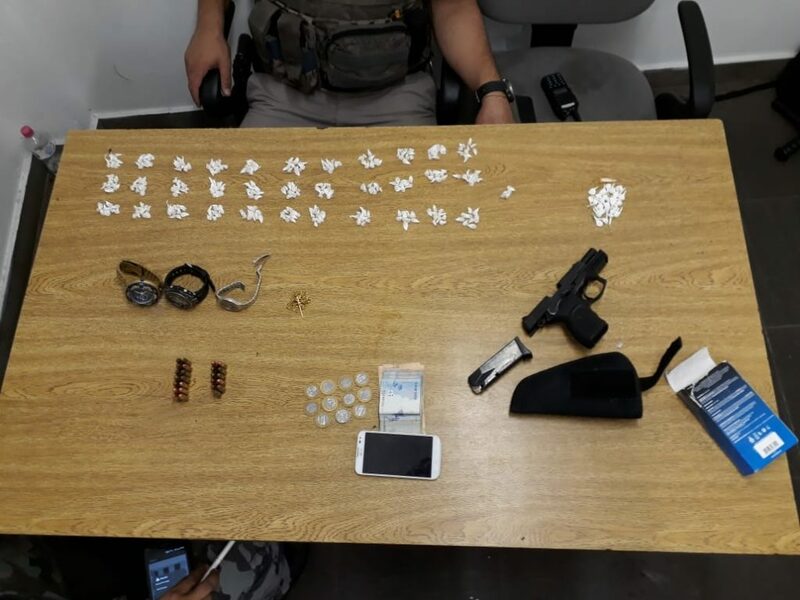 Com eles, foram encontrados pistola e 25 munições de calibre 9, 335 pedras de crack, 26 petecas de cocaína, três relógios, corrente de ouro, celular, videogame, duas TVs e dinheiro. 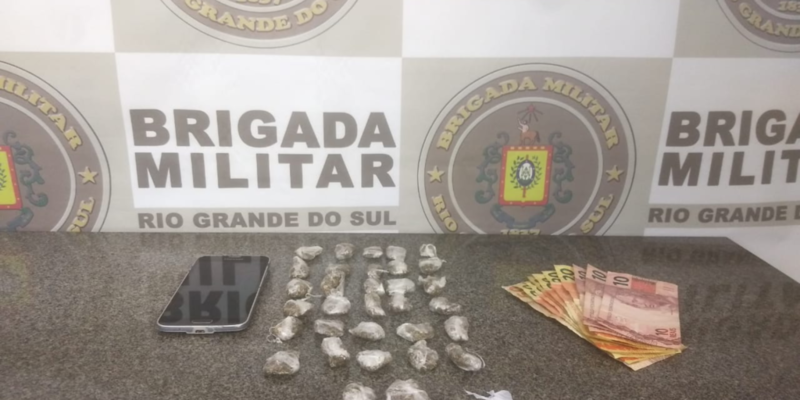 Os preso e o materiais apreendidos foram encaminhados à Delegacia de Polícia de Pronto Atendimento (DPPA) de Canoas. the structure in your weblog. Is that this a paid theme or did you modify it yourself? enjoyed browsing your weblog posts. In any case I’ll be subscribing to your rss feed and I hope you write once more very soon! There is certainly a lot to learn about this issue. I like all of the points you have made. anything completely, but this post presents good understanding even. 😉 I will come back once again since I book marked it. It’s fantastic that you are getting ideas from this article as well as from our argument made at this time. So wonderful to find someone with a few genuine thoughts on this subject matter. in fact good material in support of visitors. my agreement. Do you know any solutions to help protect against content from being ripped off? Thank you so much and I am looking ahead to touch you. Will you kindly drop me a e-mail? This article will assist the internet visitors for building up new website or even a blog from start to end. your submit that you simply made some days ago? could test this? IE nonetheless is the market chief and a huge element of folks will pass over your fantastic writing due to this problem. for a related topic, your website got here up, it seems to be good. Hi there to all, as I am actually keen of reading this blog’s post to be updated regularly. Excellent post. I was checking constantly this blog and I am impressed! Very helpful information specifically the last part 🙂 I care for such information much. I was looking for this particular info for a very long time. Thank you and best of luck. I precisely had to appreciate you again. I am not sure the things that I would have done in the absence of the actual advice shown by you directly on such field. It has been the frightful condition for me personally, but seeing your skilled technique you processed it forced me to cry with gladness. I am thankful for your advice and sincerely hope you comprehend what an amazing job you have been putting in educating men and women thru your web page. I am certain you’ve never got to know any of us. yqzgbkvy,Quality blog, keep up the good work. You may check our website also! Hi there to every one, it’s really a good for me to visit this web site, it contains helpful Information. It¡¦s actually a nice and helpful piece of information. I¡¦m glad that you shared this useful information with us. Please stay us informed like this. Thank you for sharing. you amend your website, how could i subscribe for a weblog web site? certainly like your web-site however you need to check the spelling on quite a few of your posts. Several of them are rife with spelling issues and I find it very troublesome to tell the reality then again I¡¦ll surely come back again. I would like to voice my affection for your kind-heartedness supporting individuals who actually need help with in this concept. Your very own commitment to getting the solution around turned out to be exceedingly valuable and has surely made others just like me to achieve their pursuits. Your entire valuable recommendations entails a lot to me and extremely more to my office workers. Regards; from everyone of us. wmepuu,Some really nice stuff on this website, I enjoy it. skills as neatly as with the layout to your weblog. this issue, it may not be a taboo matter but generally people do not talk about these topics. zmvlctv,A fascinating discussion is definitely worth comment. I do think that you ought to publish more on this topic, it may not be a taboo dzmlnyrjfyw,subject but generally folks don’t talk about such subjects. To the next! All the best!! Wow, marvelous weblog format! How long have you ever been blogging for? you make running a blog glance easy. The total glance of your web site is fantastic, let alone the content! Of course, what a splendid website and enlightening posts, I surely will bookmark your blog.All the Best! obviously like your web site but you need to test the spelling on quite a few of your posts. Many of them are rife with spelling issues and I find it very bothersome to tell the truth on the other hand I will surely come again again.